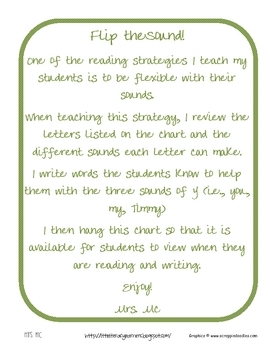 One of the reading strategies I teach my students is to be flexible with their sounds. 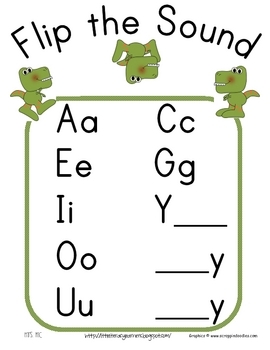 When teaching this strategy, I review the letters listed on the chart and the different sounds each letter can make. I then hang this chart so that it is available for students to view when they are reading and writing.